Seemingly out of nowhere, Apex Legends has swept the video game industry by storm. With almost no marketing, no build-up, and no hype, Respawn Entertainment’s new free-to-play Battle Royale game has reached impressive numbers. 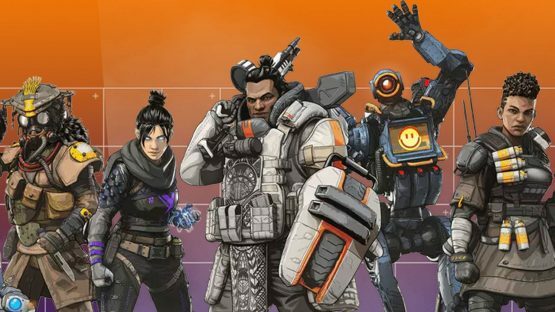 Last week, we reported that Apex Legends had reached 10 million players in just 72 hours after it launched. Now, the game has surpassed that by a long shot, reaching 25 million players within one week of its release, which is absolutely wild. A post from Vince Zampella, CEO of Respawn Entertainment, on EA’s official site announced this staggering number and focused on thanking the community for the support. We’re also thrilled to announce that since last Monday, more than 25 million players have jumped into the game, and over the weekend we had well over 2 million concurrent players at our peak. Like I said earlier, what a week! A Twitter user also asked Zampella about concurrent players, to which the CEO responded “Well over 2 million.” For a game that we didn’t know existed just two weeks ago, it’s unreal to see these kind of numbers. And it doesn’t show any signs of stopping either, as the player count continues to climb. Apex Legends also has a Valentines Day event in the works, introducing limited-time loot for “the lovers” out there. We knew this game was going to be something special when it released and had 1 million players within eight hours and had then surpassed 2.5 million players within one day of being released. A common thought on the minds of many is whether this will reach Fortnite numbers. At the time of reaching 10 million players, it had broken a Fortnite record, so it very well could get to that point. Is there room for multiple battle royale games? Call of Duty: Black Ops 4’s Blackout mode, PlayerUnknown’s Battlegrounds, and, of course, Fortnite seem to be leading the pack (along with H1Z1’s latest update), but at the rate Apex Legends is grabbing players’ attention, it could very well be one of the leading games of the genre. Based on the way it was released, with no marketing, this may impact how future free-to-play multiplayer games are released, eliminating the chance for negative community feedback. Huge congratulations to EA and Respawn Entertainment for their continued success with Apex Legends. Are you playing it? What do you think? Let us know!